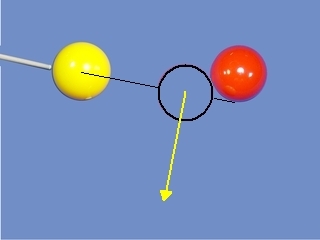 The draw shot is used to spin the cue ball backwards. 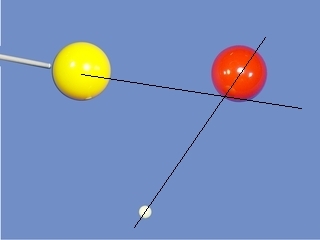 The final direction corresponds to an angle of 90° compared to the axis of the cue and, a ball before the impact point. 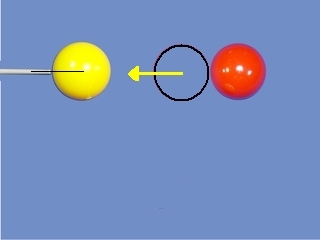 How to determine easily the 45 degree's final direction ? 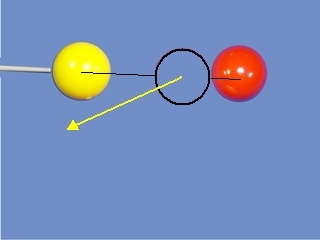 2) to visualize the direction of the cue ball, look for a point at a distance "4th ball - cue ball" from the cue ball's center situated on a line perpendicular at the cue axis. 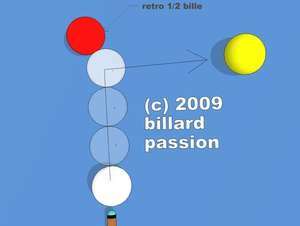 In practice, the real direction of the cue ball is not exactly one of the previous ones.